Not only did some great books arrive for me the other day, medicine and my bff showed up with some fun stickers for me but I also got a surprise get well gift from my best yet to be met online friend Mollie. Look at how fun she is?! She even drew a signature Mollie smiley face on the ankle! I already have a plan for making something fun based on this project. Well here I am again. Decided to come back to writing on this blog thing I created, back in 2009. Spring is here, things are emerging again, new growth, it’s time for me to join in on all that fun. So let’s start with some fun news I was recently published in a book. 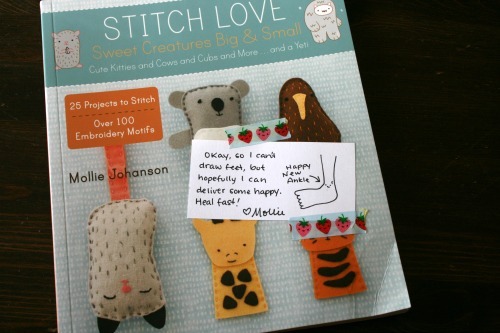 First off I’m in this lovely little book with my friend Mollie. 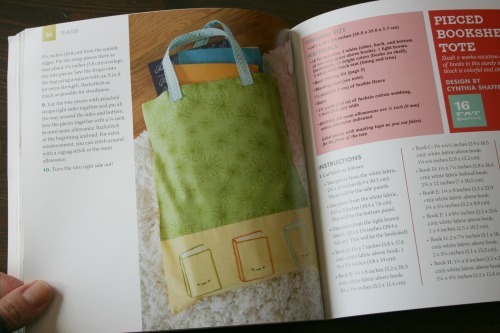 We created a neat little library tote project combining sewing and embroidery. 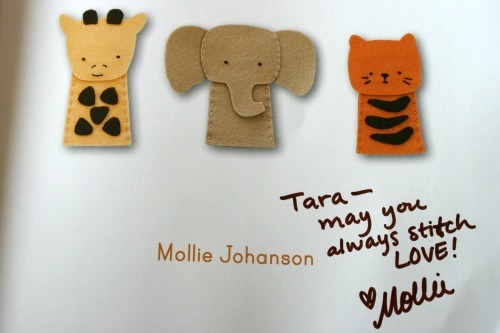 Book’s with Mollie’s signature cute little faces! Secondly, I also contributed to this book that was published a little bit ago. My fun little travel car cozy and playmat was included. It’s so nice to contribute to things that get people creating and making stuff. Also kind of neat to see your name in print! 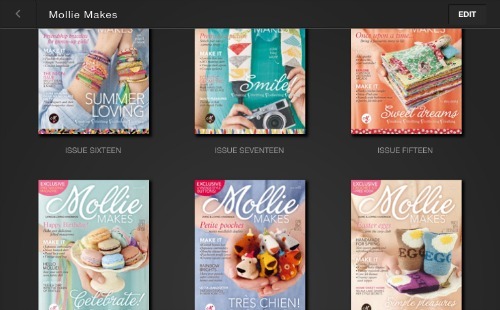 Mollie makes. Am I right!? 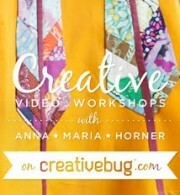 Every time I read this magazine I flag a ton of things to make, try, look up or inspiration hits with a big BWONG! So I’m going to park myself on the couch and actually do something about all these flagged items I have lying around. Creativity in all it’s forms. 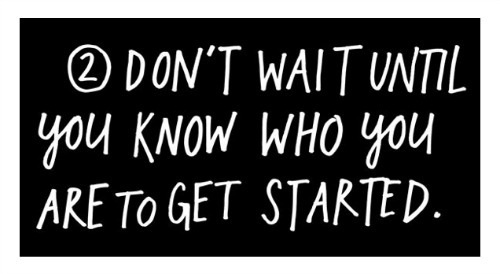 I’ve come to a realization, part of it isn’t exactly rocket science – I need to create everyday. If I don’t I start to feel crabby, especially if a day or two passes. The other part is that creativity can take many forms for me now. Before I seemed to only count sewing things, or crafting specifically. Now I realise that I’ve got other creative outlets too, how I dress, my crazy hair colours, writing, learning and most recently cooking. Since the chef of the house moved out and I’m up to bat on cooking for me and the boys I’ve had to learn some tricks. I’m becoming friends with my slow cooker. I enrolled the boys in a summer reading program at the public library so we’ve been going there every week for their little stickers and book reports. While there I’ve been checking out books about food and cooking. I found this book and absolutely love it. 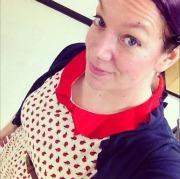 The author has a blog, Eating From The Ground Up. This book is packed with crazy useful information, I’m going to have to pick up my own copy. It’s going to be a challenge balancing things once school starts up again, the kids, work, the blog, creating, single parenting . . . I’ve got lots of things to navigate. Good thing I’m up for a challenge! 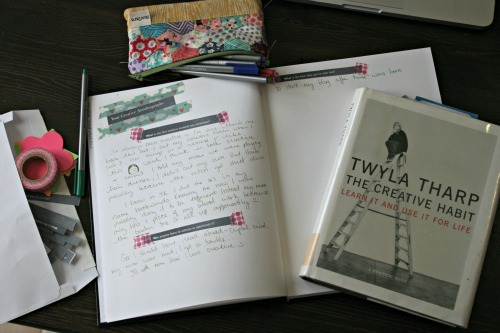 I’ve been reading The Creative Habit by Twyla Tharp. It’s really good. I’m having trouble getting to it with my busy life lately, but report cards are soon to be all done and hopefully I can get back to it in full force. There’s a page of questions to work through, there are many excercises in the book, but I copied those pages and went about answering the questions in a creative way. I cut them into strips and put some washi tape to good use making it pretty. Sadly, I have to return it to the library, I’ve renewed it a bunch. I think it’s time to buy my own copy! That image kinda of sums up my life right now. 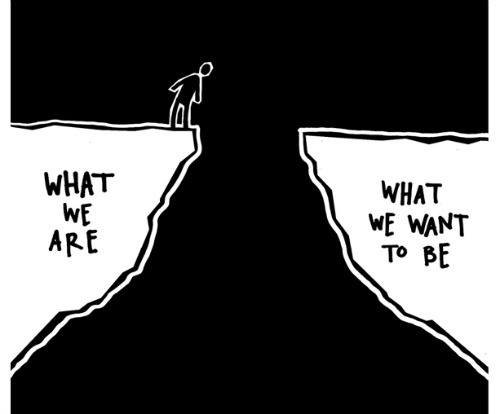 Only I’m not sure I can see the ‘where I want to be’ side, I don’t know what it is. But I know I’m supposed to jump somewhere, which is scary enough, I guess it’s even scarier when you don’t know where the somewhere is. 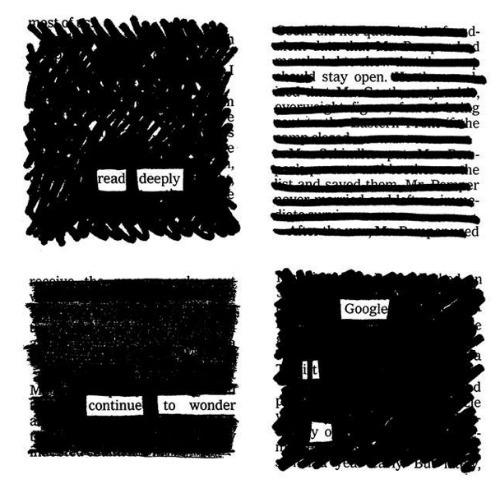 So I read Steal like an Artist by Austin Kleon. It’s a quick read but full of “10 things nobody told you about being creative” I found many nuggets of wisdom in this book. It’s also very visual and full of drawings and shout out statements like this one. Some people online were criticizing it, I suppose for his use of the word ‘steal’ and how the subtitle implies he’s advocating it. But once you read it you’ll see we’re all already ‘stealing’ and he just gives names to things we’re already doing and I found suggested some new and awesome ideas I hadn’t even considered yet. Definitely worth a few dollars and an hour or two to read it. Why I need to read magazines the day they come out. 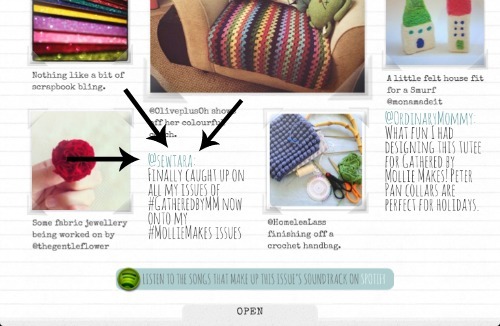 Last night I caught up on my Gathered by Mollie Makes issues. I found this in last week’s edition. Sadly, it seems kinda silly to shout it from the roof tops now that today’s issue is out. Which, by the way, I read this morning with a tea lazing on the couch. 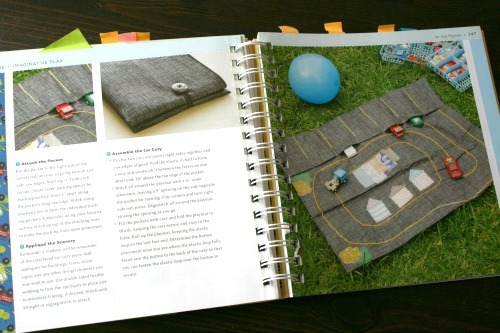 Also, I know I’ve said it before, but Gathered and Mollie Makes are ridiculously awesome publications. You MUST subscribe. Yes, must. 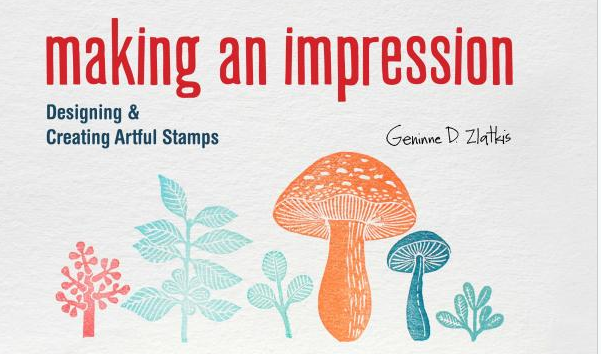 I finally got around to reading Making an Impression by Geninne Zlatkis. I took it with me to my overnight spa trip. So it was prefaced with a few hours quiet time, then I laid in bed with some music on, on a belly, in my jammies and read the book with my shiny new sketchbook right beside me. I’m dying to get into stamping and printing my own fabrics, I’m collecting ideas on this Pinterest board. I’m making an effort to work hard at researching techniques and gathering ideas and inspiration. 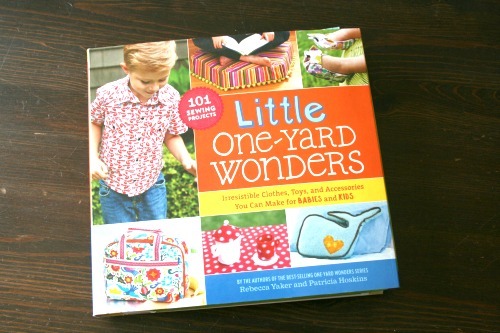 It didn’t take long to flip through the book and soak up all the lovely images. In about an hour I filled the first page of my sketchbook with doodles of possible stamps, designs for fabric and new cup cozies! I really have to make more time in my busy life to do this again. If you’re looking to get inspired along the same lines visit Geninne’s blog for some great ideas and pretty, pretty images. Literally, *every* Michelle Patterns pattern. Every single one. I mean most people today have too much stuff. We’ve been trying at home to keep our ‘stuff’ minimal. We’ve banned knick knacks unless they come from our travels or really *mean* something to us. With our kids, while we are careful with how much we buy them, it’s hard with an October birthday and a December birthday and then Christmas 2 days after that . . . it gets a bit crazy. Honestly, it’s usually the reason I advocate for us to travel at Christmas, thinking we’ll skip the gifts mountain but it doesn’t work. When you’re a crafter of course you acumulate stuff. Before getting into sewing I did papercrafts, cards and scrapbooks mostly. 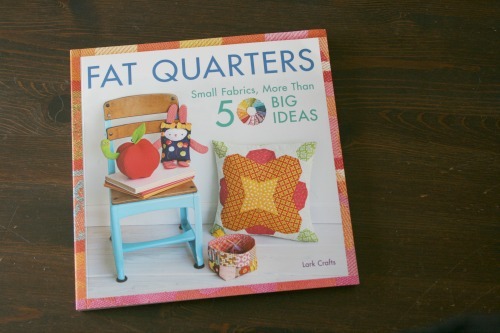 Then after starting my blog and getting into fabric now I have yardage, then a fat quarter collection and then I keep a scrap bin. THEN I have smaller scraps for 1 inch magnet making and then I keep the smallest scraps ever for hair clips and such. It’s insane. 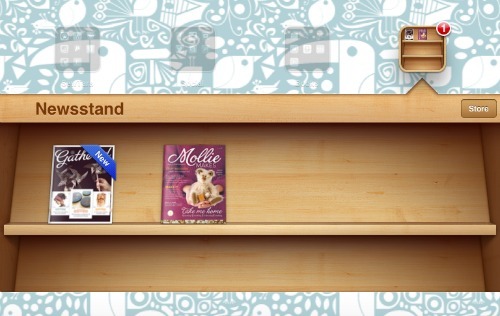 Mollie Makes digital subscription. Now add Gathered to that. Honestly, both amazing, amazing magazines but yeah, adding to my collection. Now add to that the things I’ve started to accumulate on my iPad and Macbook. 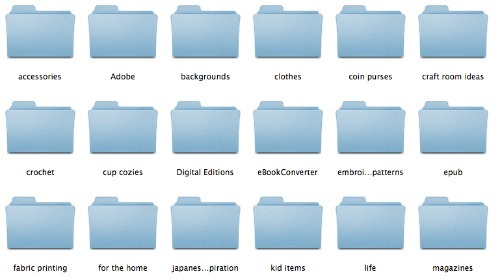 Folder and folders of things to look at later and get inspired or ideas to make. 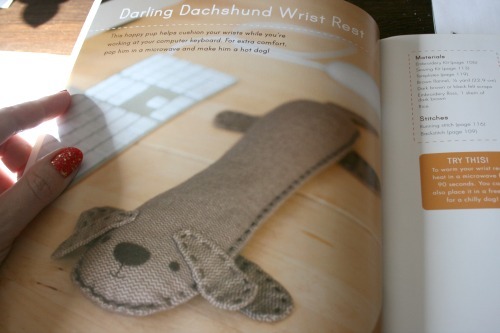 As if I need to add to my to do list or ‘things I want to make’. 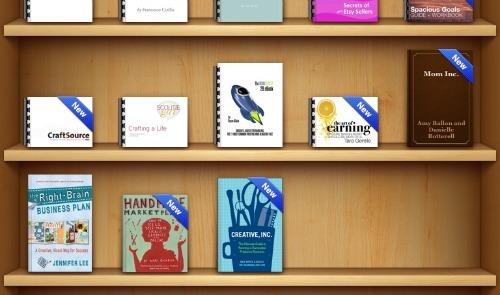 Then there’s the business research and books and things to read I have as well. Classes to take, things to learn. It’s tough to balance it all when what you love to do, drives you to do it more and makes you happy but is hard to fit into your ‘normal’ life. Someone please tell me you have this going on too! If you’re sick of hearing about these look away now. 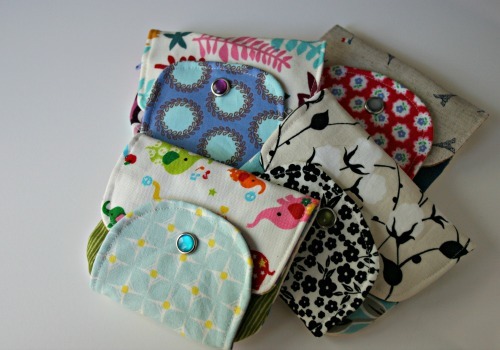 Yeah more scrappy wallets. 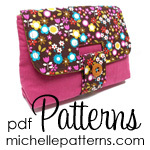 I love Michelle Patterns, perhaps you’ve noticed. I want to grow up and be like her. I keep collecting PDF patterns and trying them all out in an effort to better understand them and how they work so that someday, someday, I can create my own from all these sketches I just keep accumulating. I just need some time to research it all and get going on it. 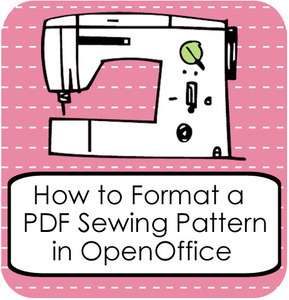 Michelle Patterns has this great resource for heading in that direction. 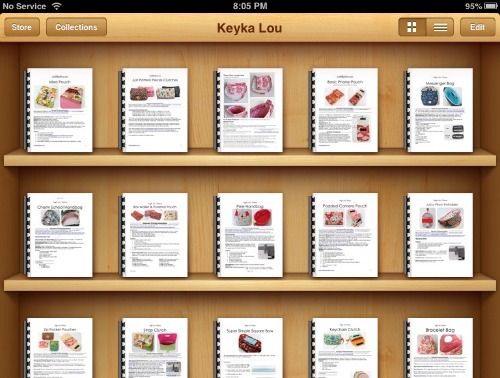 It’s an ebook/document sharing some of her knowledge from years of selling PDF patterns online. • General photo info – test photos, file formats, etc. 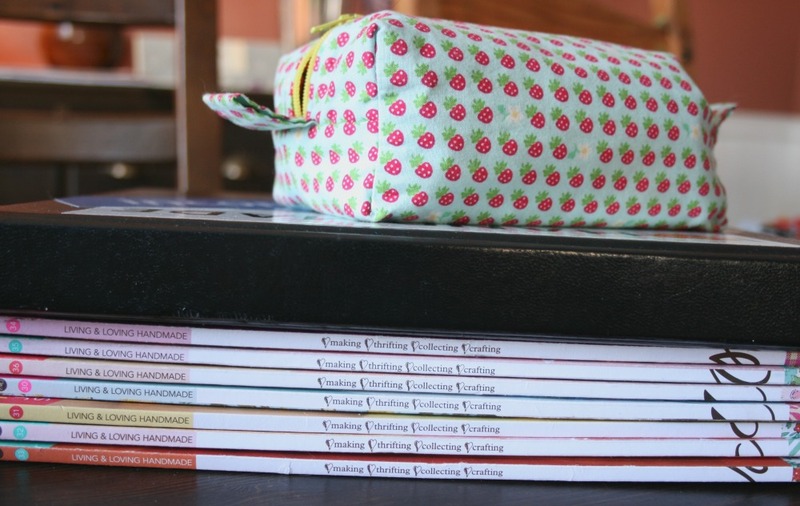 • General info about the pattern pieces – margin guide, text to include, etc. 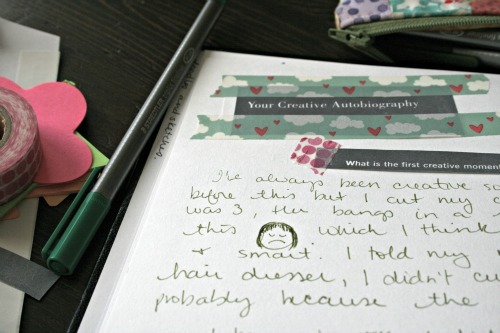 • Tips for writing the instructions – style, voice, font considerations, etc. • Lots of tips from my own experience! 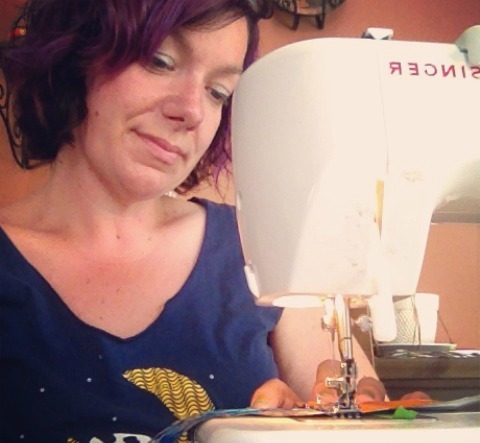 I love that she supports other women in starting their own business by letting you make and sell items from her patterns. 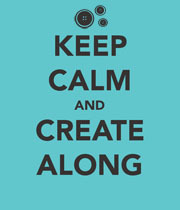 I don’t always intend to do that with what I make but it’s nice to know you can if you’d like. 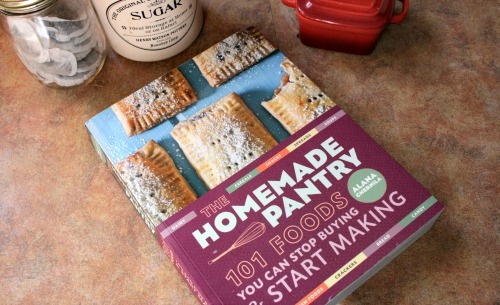 Also now that she’s branching out and sharing tips on how to *make* your own that’s even more awesome. 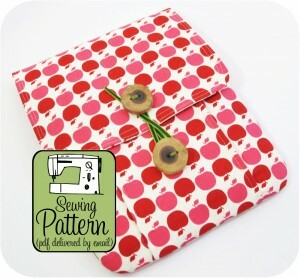 She’s also selling patterns made by other people in her online shop now so if you’re ahead of me and making your own PDF patterns already that’s something you might want to explore for some more exposure. I recently bought the Idea Pouch and can’t wait to make one and store my iPad, stylus, little notebook some markers in it.